It is unfortunate that it has some similarities to Twilight and Vampire Diaries but overall, I enjoyed it so much that I forgive these likenesses. Eila and Raef have one of those instant super natural charged love at first sight things going on. It's strong and hot, which is an okay thing but I guess I've just read enough contemporary stories lately that I missed the getting to know you background filler. Instead we're thrown into this strange world of otherworldly creatures with special abilities and oh, my goodness, everyone is trying to kill me situations. I love the side characters of Ana, Kian and MJ. I'm off to start the next book of the series! I guess that goes to show that I really did enjoy this book in the end. 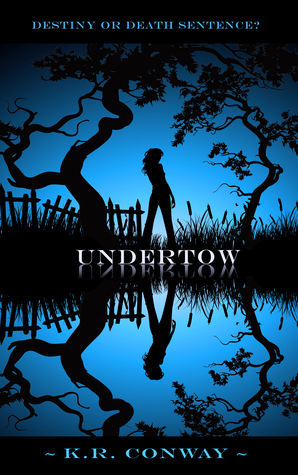 Sign into Goodreads to see if any of your friends have read Undertow. 100.0% "Pretty good. Off to start the next book!"